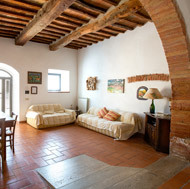 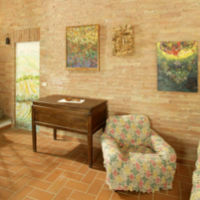 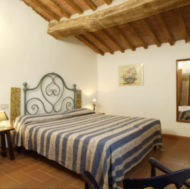 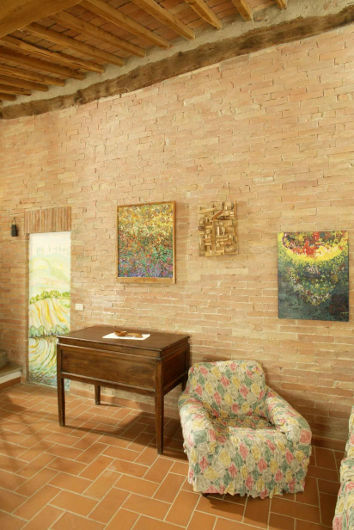 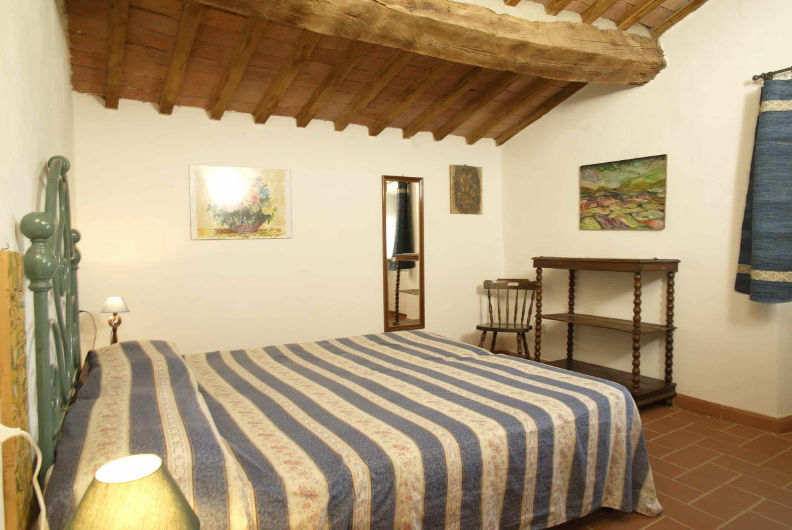 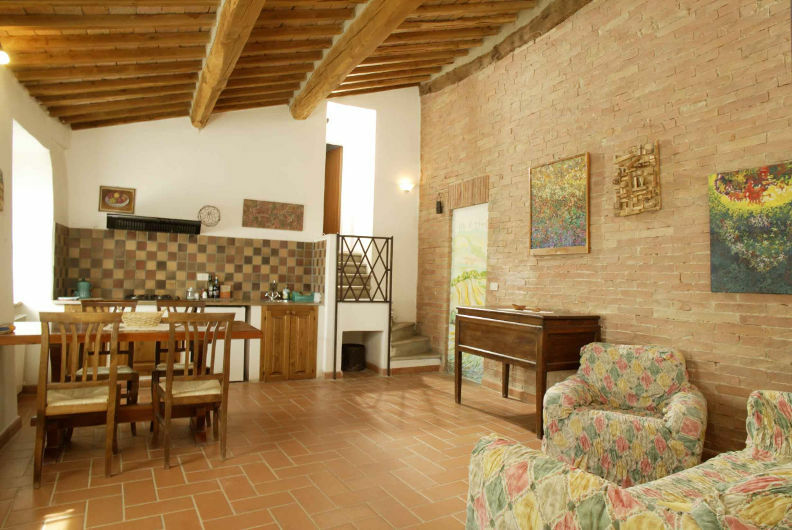 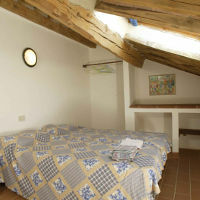 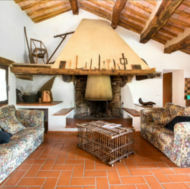 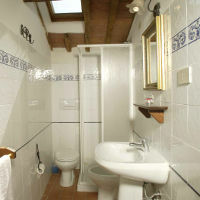 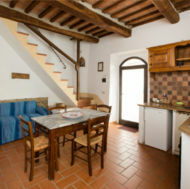 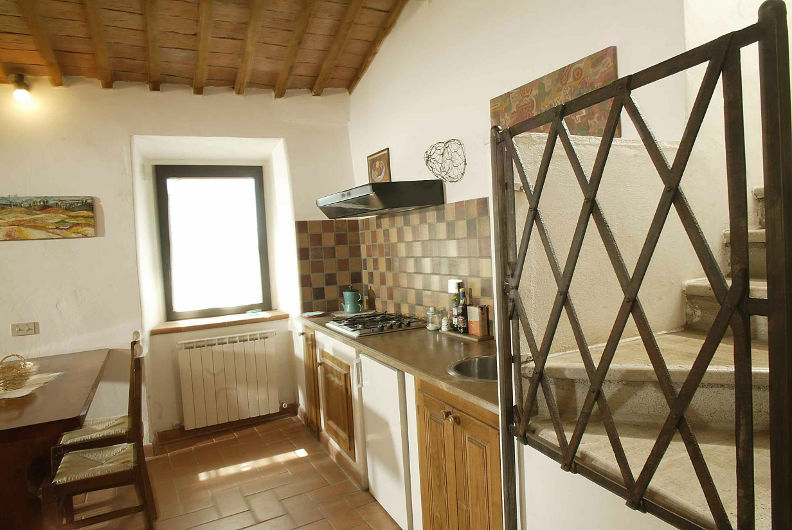 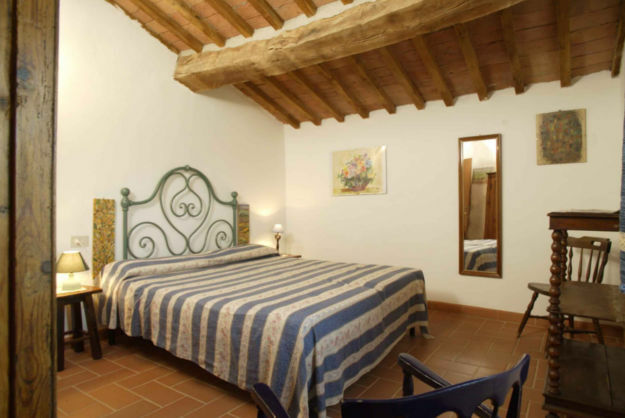 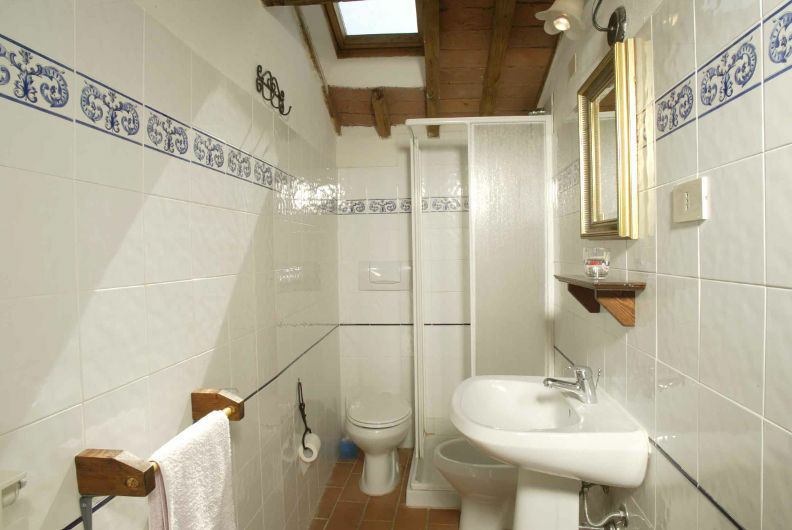 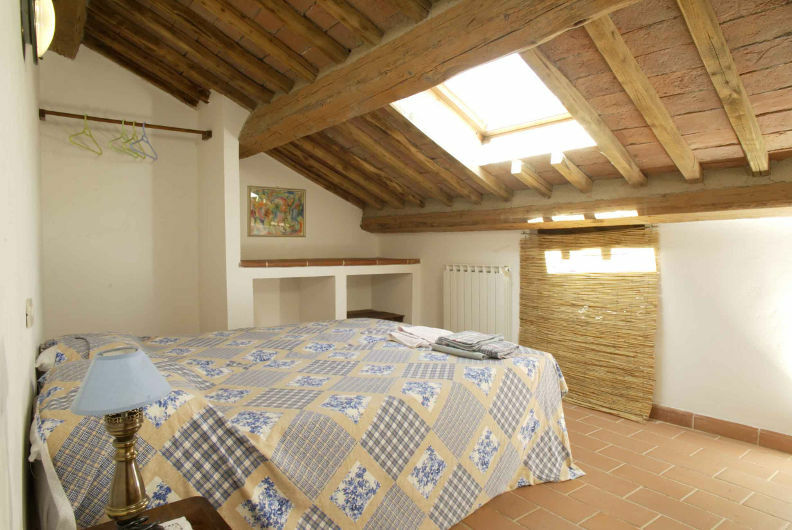 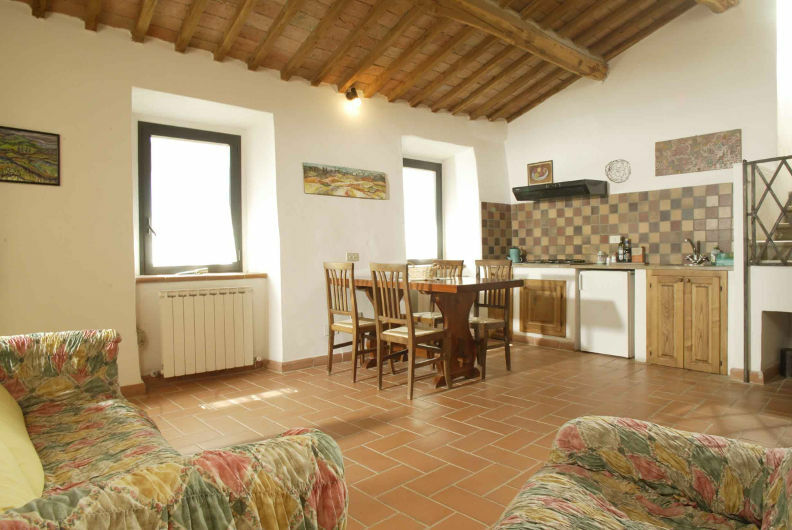 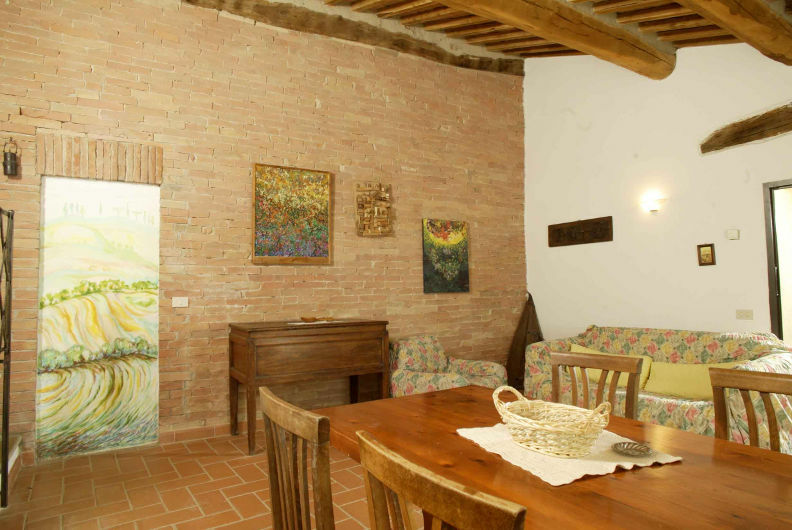 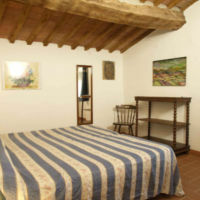 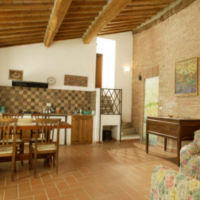 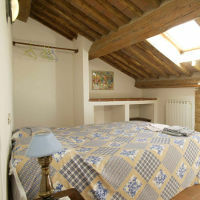 The apartment is located on the first floor with private entrance from the loggia. 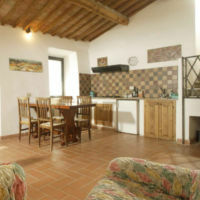 It consists of a spacious living room with kitchenette and sofa bed. 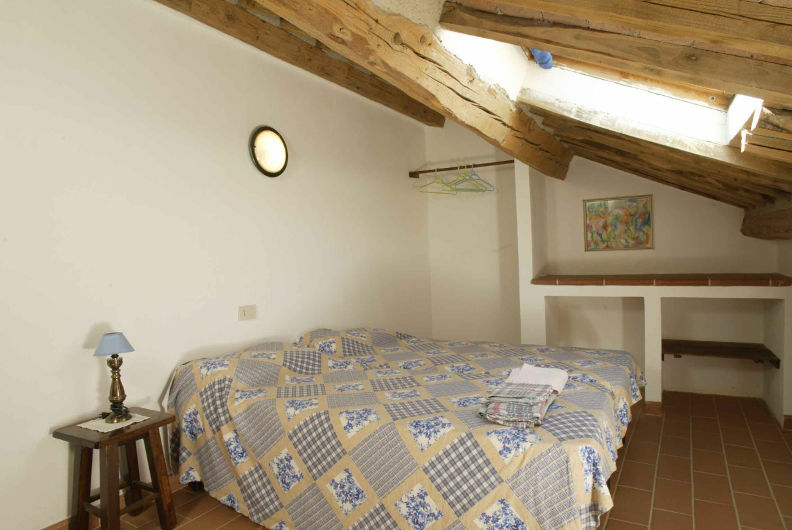 A few steps up is the sleeping area with two bedrooms, a bathroom (with shower), and an attic bedroom. 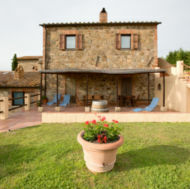 A stunning view of Montalcino is visible from the master bedroom. 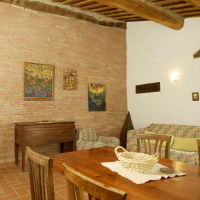 Outdoor area with table situated under the loggia. 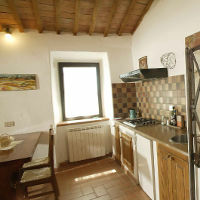 Bedrooms and kitchen are equipped with window screens.